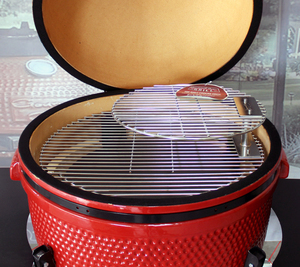 The Gourmet Guru Grill is an easy to use ceramic grill that combines a grill, smoker, and brick oven to create a variety of applications. The grill is designed with handles on the side to make moving the grill a breeze. It also comes with a limited life time warranty. If you want a quality grilling experience at a great price, then the Gourmet Guru Grill is just for you. The Guru Cart Table is made from rust resistant durable steel and was designed to raise the Gourmet Guru Grill to a comfortable cooking height while providing the mobility that some backyard chefs desire. The easy lock wheels prevent the stand from sliding while you are cooking your next delicious feast. The Gourmet Guru Grill & Vintage Table combo offers the best of both worlds for one low price! You get the Gourmet Guru Grill that was specifically designed keep foods moist while infusing that delicious smoke taste and the Guru Vintage Table that is a medium sized table gives you enough room to store your grilling accessories, but is small enough to fit in a confined area. Guru's new Extra Large Grill has a 24 inch cooking surface. 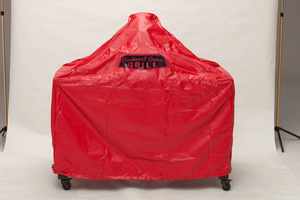 Great for events, large families, even restaurants that want to grill more items at one time. 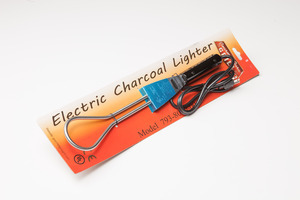 Our new Grill Kit is a more affordable option! Everything you need to get grilling at a discounted price of $857 plus $125 shipping. Kit includes our Original Guru Grill, the new Metal Cart Table, Plate Setter and Ash Removal Kit and Grill Cover. Meet your new best friend! Whether you crave something old-fashioned or the hottest new dish to hit the barbeque circuit, the Gourmet Guru Grill gives you the freedom to experience exciting tastes in your own backyard. Don’t know what to make? Check out Jack’s Recipes to find something that will really make your family and friends clamor for more. You don’t have to be a cooking guru to master the Gourmet Guru Grill – but hey, it doesn’t hurt. Gourmet Guru Grill is all about the spirit of innovation, so give it a try and see what you can accomplish. If you’re looking for the best grill around, you found it. Don’t forget to get some ceramic grill accessories while you’re here.